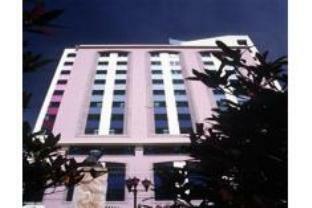 ﻿ Best Price on Hotel Plaza Del General in Tegucigalpa + Reviews! Located on the lively Palmira District, this hotel is only a few yards away from Plaza San Martín Square. Hotel Plaza Del General offers a restaurant and a gym with sauna. The Plaza Del General offers air-conditioned rooms with terrace and free internet access. Each is decorated with authentic paintings and classic furniture, and come with a separate living-dining area. The Café Del General Restaurant features live music and shows football matches. There is also a bar that features a large TV screen and a karaoke. Main shops and bars are within walking distance from the hotel, while The Historic Museum of The Republic is a 3-minute drive, while the center of Tegucigalpa is 2.5 mi away.